It feels like a long time since I put pen to paper (despite being a bit inaccurate it sounds much better than fingers to keyboard) and to be honest that is because I haven’t really known what to say. I still don’t really know what to say but I am going to do my best to be articulate, so please bear with me. Rewind to the end of last year’s World Cup season and I was psyched out of my mind. I had set some goals for 2013 (make top ten and make a final), I had achieved the first but not the second but I had been sooooo close to finals and I was ready to go back to training and try again. 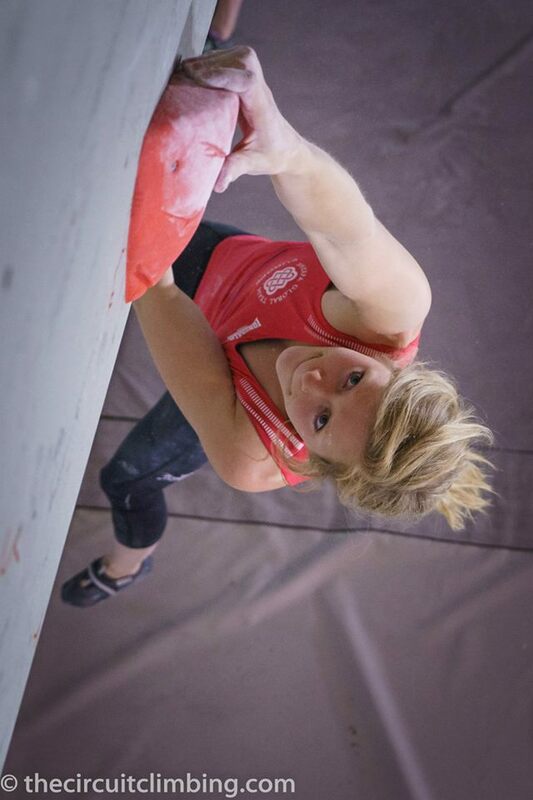 I was keen to climb outside and I had some great trips lined up (Rocklands, the US and also some quality time spent at the Tor) but I was also determined to train too and get stronger for the 2014 World Cup season. I worked myself so hard. Before Christmas, I was training at the wall, lifting weights at the gym, running, and climbing at the Tor to exhaustion. After Christmas we went to the US, but when we got back I did 9 weeks of almost exclusive training; mornings was climbing based followed by some conditioning and in the afternoons I would bust a gut in the weights gym. Almost everyday. Plus running. Plus watching what I ate. Why I am telling you this? To be transparent about how hard I tried and how psyched I was and to put into context the next bit so you can see how confused I am now. It was about 1.5 weeks before Shauna and I left for the first World Cup in China when something strange happened. I woke up and I wasn’t psyched. I didn’t want to train; I didn’t want to go to the gym. This sounds reasonable but even when I was tired in the past, I still wanted to go, I enjoyed it and I thrived off feeling tired and worked. But this felt different. It was like someone came in the night and stole my mojo. I put it down to doing so much and the comps arriving and wanting to just get going with them and I didn’t worry about it. We went to China and I put a face of excitement on. I won’t regale you with all the details of the competitions but there was one consistent thing: my mojo was nowhere to be seen. Now, I want to be clear, this was not a reaction to bad results. My results weren’t even that bad! They weren’t as good as last year but they weren’t too shabby. It was before competing that my mojo was most notably absent, warming up in isolation I felt pure apathy towards the coming event. Don’t get me wrong, I went out and tried hard and I enjoyed it but I didn’t have the grit of my 2013 self. It was like the desire just wasn’t there. Shauna and I were away for a whole month and we did four World Cups in that time. It was a really fun month in many ways, we saw some amazing new places, we got lost a lot, we laughed about silly things and we climbed in the competitions. One of the best things was seeing Shauna do so well. She has been so close to winning for so long, I can’t think of anyone who deserves it more. 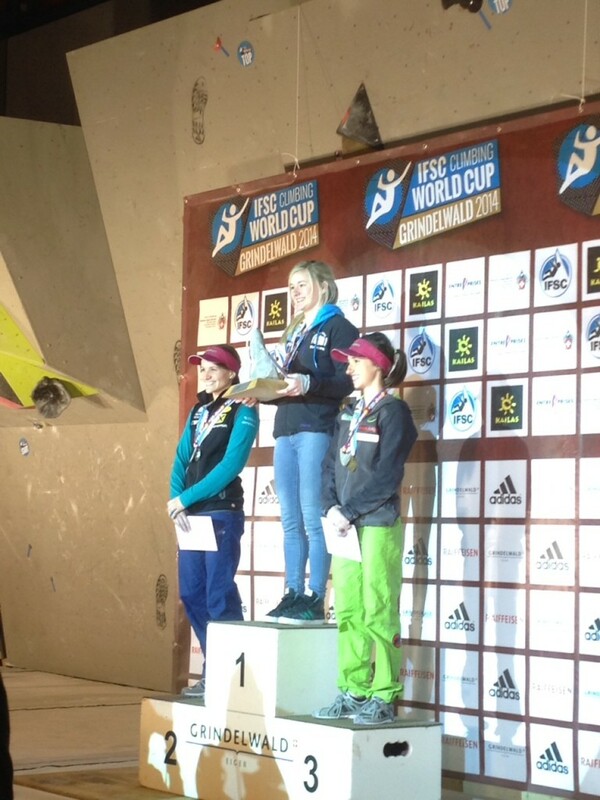 It was great to see her standing on top of the podium twice in a row. Knowing how hard she works and how resilient she has had to be, it was very inspiring. When I talk about my desire and psyche for competitions disappearing, I must stress that that is very personal to me and is not meant to criticise or undermine competition climbing as a venture. 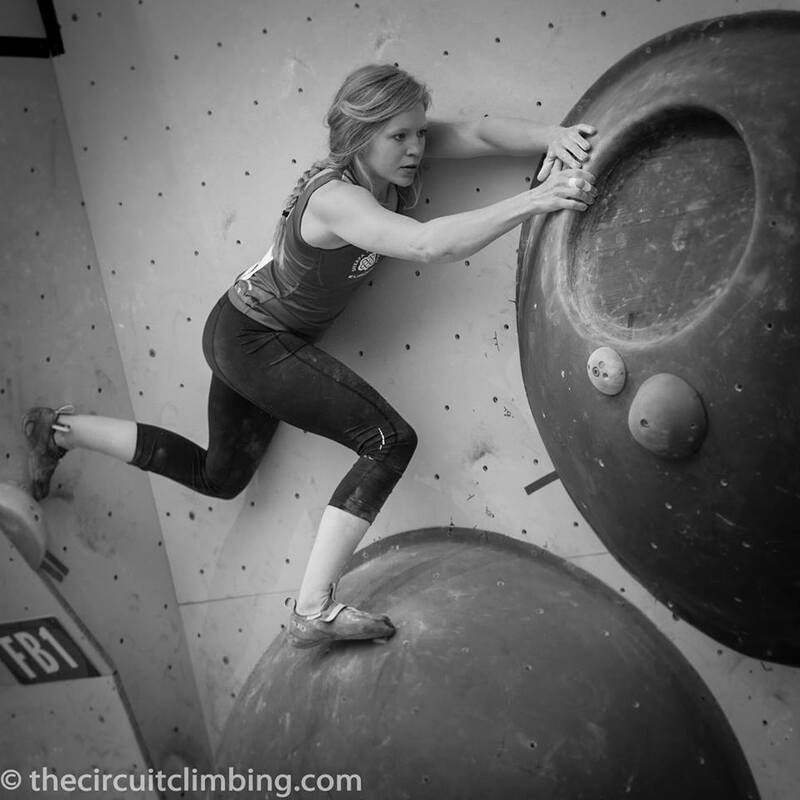 I hugely admire good competition climbers and I think they have an incredible skill set, one that I wish I had. I have pushed myself so hard to improve in an area that doesn’t come easily to me and I think I have just got to the point where I am tired of it. My head wants to battle on but my heart is elsewhere and I am finally giving in to it. I have decided not to do the next few events (Toronto, Vail and Haiyang) to give myself some time to reset and also to manage a finger injury that I have picked up while away. I may do Laval and I may do the World Championships in Munich but I haven’t decided on those yet. Initially I felt very guilty, especially after all the support the GB team has received through the Crowd Funder but realistically it would be wrong for any of the funding raised to be used for a team member who isn’t in the zone when we have others who are psyched and fully equipped to push on. You can’t fake psyche, trust me I tried!! All I know right now is that I have to rediscover my mojo and my love for climbing and I think I know where that will take me…..…..I may do the odd event in the future (even the near future) for fun but for the most part I am stepping down from competitions and I am going to focus on climbing outdoors from now on in. Making that decision was a very conflicting process (see my thoughts on failure and what it means to us) but has left me feeling hugely relieved and excited about the future. There are so many places I want to visit and I am so very fortunate to have support from my sponsors to do this; so now is the time to let go of the things that don’t make me happy and to widen my horizons in the things that fill me with excitement. Thanks to everyone for all the support over the last two years in the competitions, it was hugely appreciated. A massive good luck to all the GB team heading into the next few World Cup events! Over and out. Hiding from the sun in Baku, Photo Eddie Fowke. 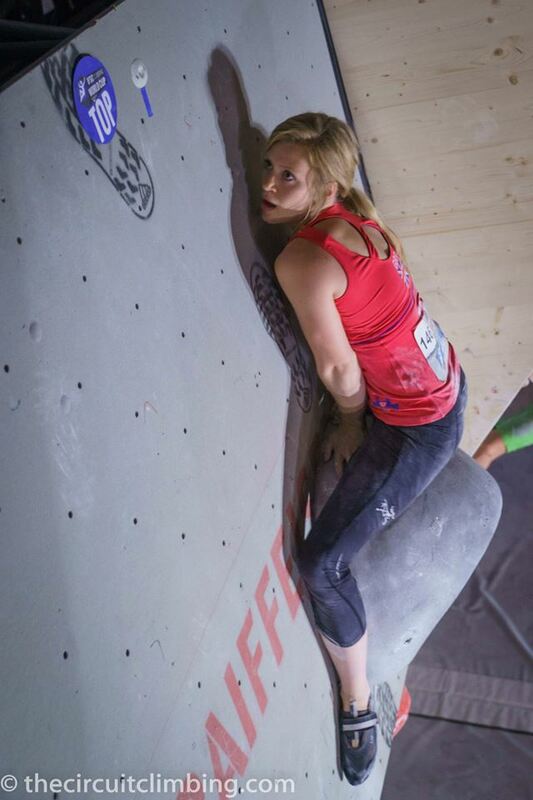 Navigating a slab in Innsbruck, Photo Eddie Fowke. I’ve enjoyed watching the events immensely, but can’t begin to comprehend the physical strain let alone mental strain you’re required to endure to compete at the level you do. From the sounds of it, you know exactly what you need to do and that’s great – go enjoy yourself and get your mojo back! On a different note, all this talk of mojo reminds me of Austin Powers! Thank you for sharing Mina! I know it is not easy putting the truth out there when it does not match your expectations. I love climbing and I have days when sometimes I just don’t want to do it and or my training–this is a very frustrating place to be and usually passes and the joy comes back. I cannot imagine how difficult it is to climb on demand for these comps, to feel great psychically and psyched and perform on one specific day is a lot. I know it would never work for me but I have always admired those who try–good effort! Life is too precious to waste on something that is not making you happy so have fun crushing rocks! Looking forward to climbing outside with you. I feel privelged to be inspired by you and Shauna and although it is a shame you’ve momentarily lost the climbing spark I’m confident you will relight it again soon, you know what to do. Go and enjoy yourself and allow that passion to return. You looks always strong and passionate. I am looking forward to seeing your awesome outdoor climbing. I am always support you. Wow, what a post! Super honest of your part telling us how you felt and how you took this decision. Great to read this! We met briefly in Squamish B.C. and Hueco Tanks. Every once in a while I check in on your site to see what your up too. I can relate to you in the way you always seem to be searching for new approaches to mold yourself into the person and climber you wish to become. It is a great blessing and a curse to have this kind of drive and passion for something. I can’t help you find your mojo, but treat it like water. If you try to grab it tight it will slip through your fingers every time. Relax your hand into and it will surround you. Hunting your dreams, and chasing your potential is the back bone of happiness, but remind yourself to release the goals, and be thankful for your current situation and place. Before I go bouldering I name 3 things I am thankful for and 3 ways I can do random acts of kindness while bouldering. like scrubbing holds for people. being a supportive spotter, and caring extra snacks to hand out. This all allows me to be psyched about the whole package of community and nature that comes with climbing outside. Otherwise I simply become too obsessed with my progression and performance. Anyway, I will be sending good thoughts your way. Hope you get your mojo back. Sometimes less is more and even when we feel strong our body may need us to step back. It will pass, so good luck. I like to read your blog and now i keep fingers crossed for you to be happy even without lost passion for competition climbing. 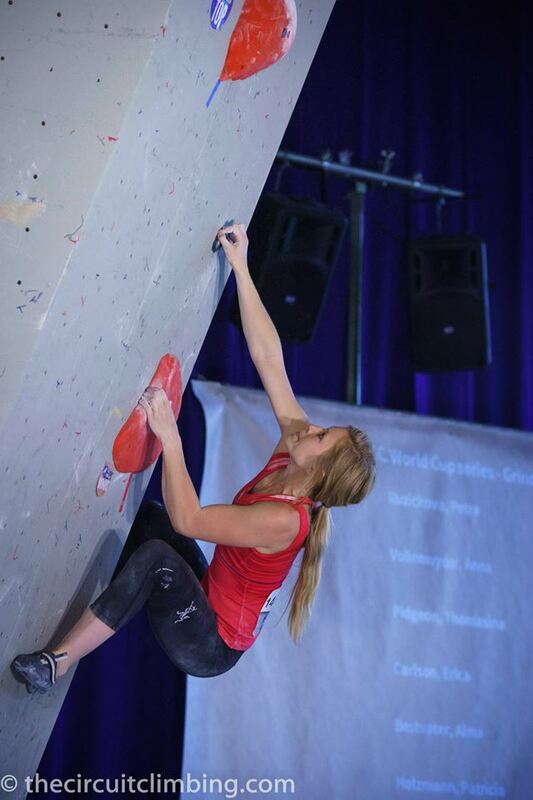 It is more important, that you didn’t lost passion for climbing overall. Have a lot of fun. I’d missed your name from the results list at the last couple of events, and just got round to checking your website hoping you’d not had an injury…. It’s a shame we won’t get to see you at the next round, but you should feel proud of your season, you were so close to that elusive final! And more so, for the honesty and bravery in standing up and admitting it was no longer for you. Your writings and musings are as inspirational to me as your climbing, and I always seem to relate to what’s going on in your head. I look forward to hearing about your new adventures, whatever they may be. Listen to your heart and follow it as close as you can 😉 Don’t let yourself lead by expectations of others. We ‘the others’ except you as you are (we really should!!) . No matter what journey you pick to go on and no matter what you decide to do on the path you have chosen. 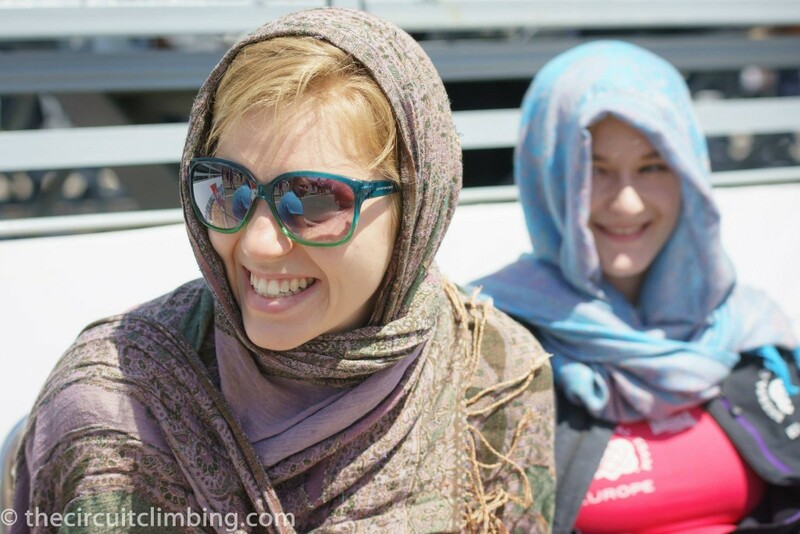 Mina – I can’t imagine what it feels like to be a climber at your level but I can relate to your loss of spark. It’ll come back – just let things run their natural course. In the meantime, keep enjoying your outdoor stuff – that’s where it’s really at anyway! Your videos and blogs over the past couple of years have certainly inspired me so karma dictates you should be rewarded for that!